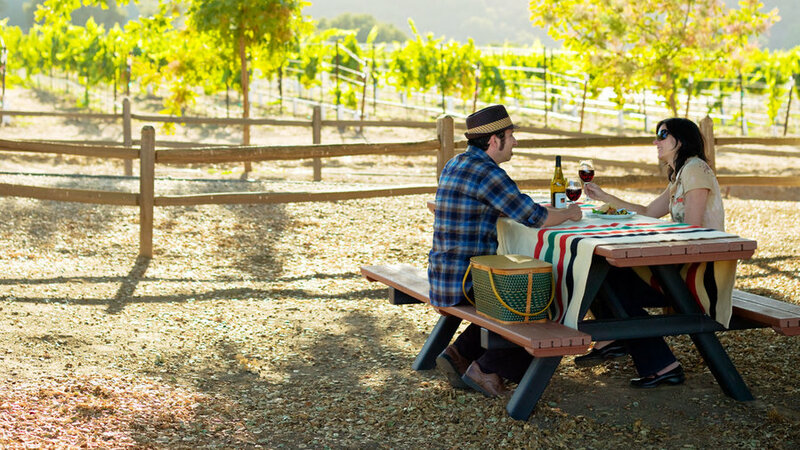 Hit two birds with one stone by picnicing under the oaks at Hahn Estate so you can refuel and take in the vineyard at the same time. Why go in fall: In under-the-radar vineyards tucked against the mountains south of Salinas, the harvest is on. What’s growing: Long dubbed the “salad bowl of the country”—80 percent of U.S.-grown lettuce comes from here—the Salinas Valley is now also turning out phenomenal wine. Your route: River Road, aka the Wine Trail. Follow it to the 20 or so wineries (most of them in the Santa Lucia Highlands appellation). Think it’s too hot for wine? Actually, at 1:30 every summer afternoon (winegrowers set their watches by it), the wind whips down from Monterey Bay, chilling the Chardonnay and Pinot Noir grapes to perfect temps. Take it with you: Pick up organic broccoli and heirloom tomatoes at the Farm. Trivia: All the farmhands pictured on the giant cutouts dotting the valley actually worked here at some point. What the…?! : Lions and lynxes roam at Vision Quest Ranch (tour $10; 800/228-7382). If you stay in one of the cabins, an elephant will—no kidding—bring you breakfast. Lunch with a (wow!) view: Pick up Cuban pork sandwiches from Portobello’s ($; 1366 S. Main St., Salinas; 831/753-0797) and head to Hahn Estates (37700 Foothill Rd., Soledad; 831/678-4555). Claim one of the picnic tables under the wizened oaks perched over the harvest scene and pop a bottle of aromatic, red-berried Hahn 2007 “SLH” Estate Pinot Noir. Gain respect for the growers behind your favorite California produce by going behind the scenes with Ag Venture Tours in Monterey. Visit the harvest close up: Get behind the scenes with Ag Venture Tours and see how many crops you can spot (we counted 23 in under two hours). Check out the efficient teams sabering, bagging, and boxing iceberg in the field; learn how few hours elapse between soil and Safeway for strawberries (yep, strawberries in September here); and vow to keep your day job when you find out that a single baby lettuce “mower” costs $400,000. From $60. Want to sample something besides cheese with your wine? Visit Wrath, a Monterey winery known for delectable pairings like homemade potato gnocchi with their Pinot Noir. Revisit the early valley way of life for the weekend at the Chateau Coralini Retreat & Spa, an impressively restored Victorian. Make it a weekend: Give in to some coddling at the Chateau Coralini Retreat & Spa, the impressively restored Victorian “Versailles” of an early valley bigwig. Don’t miss a peek at the wine cellar. From $250, including breakfast; 831/455-2100. For a quick bite: Those in the know head straight to the back of Pacheco Carniceria y Taqueria market for carne asada tacos or the legendary burrito. $; 615 Front St., Soledad; 831/678-0914. To feel like an insider: Right on the wine road, Element Tasting Bar & Bistro sees more than a few wine pros, tasting from one another’s bottles and raving about the prime rib. $$; 275 River Rd., Salinas; 831/998-7045. For Mexican family cooking: At La Fuente, no space on the walls is left unfilled with tchotchkes. Order shrimp—diabla if you dare, rancheros if you want to live to taste another glass of wine. $$; 101 Oak St., Soledad; 831/678-3130.